The Top 10 for November makes it look even between Marvel and DC Comics. 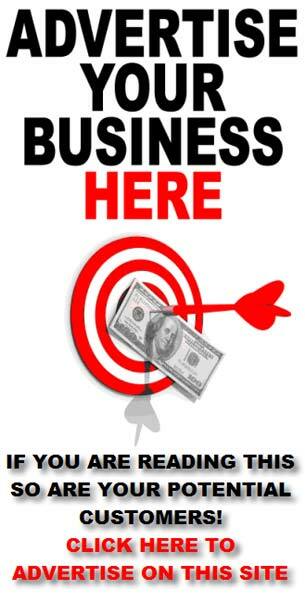 If you expand your view out to the top 100 a different story is apparent. Marvel has shook off their performance of the past few months and is the dominant publisher for the month of November. They have a majority of the sales in November. 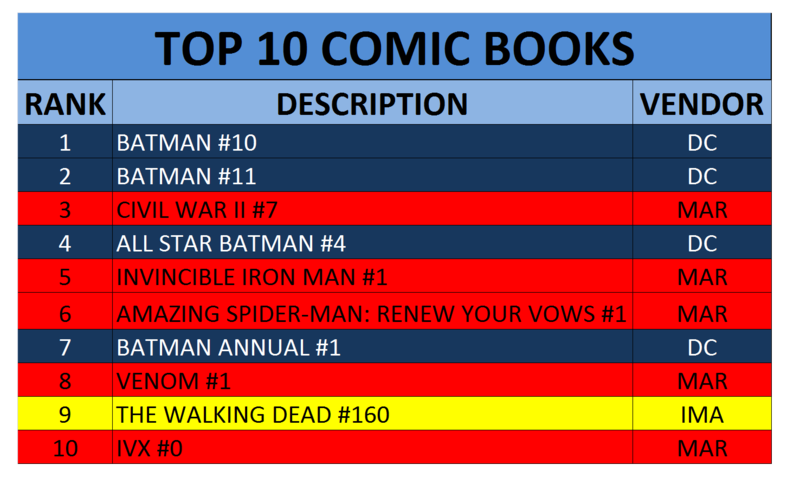 Even though Marvel is back on top, DC Comics has the top 2 spots overall with Batman #10 & #11. In fact, all of DC Comics top 10 titles were Batman related. DC Comics is leaning heavily on Bruce Wayne right now. Marvel relied heavily on new titles for their top 10. Invincible Iron Man #1, Amazing Spider-man:Renew Your Vows #1, Venom #1 and IVX (Inhumans vs X-men) #0 were all in the top 10 for Marvel. Their only non-new title was Civil War II #7. The only title not from the big 2 publishers was Walking Dead #160 from Image Comics.